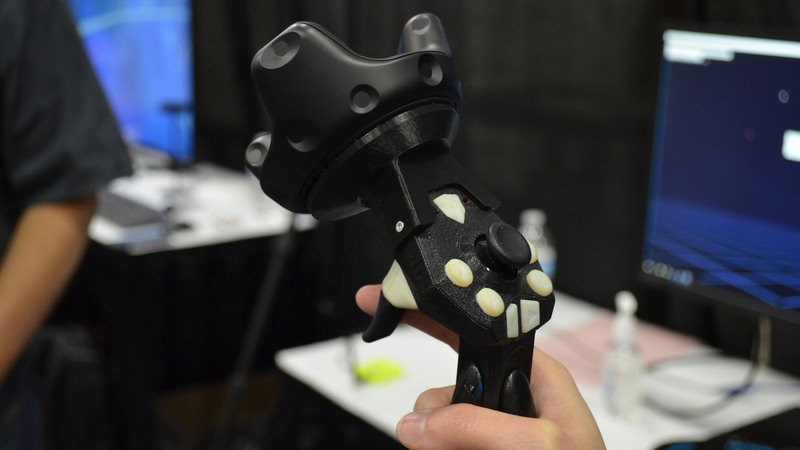 Tactical Haptics, developers of the Reactive Grip controller, are showing their latest prototypes now with attachments for the Vive Tracker, Oculus Touch, and a custom-built SteamVR Tracking solution. 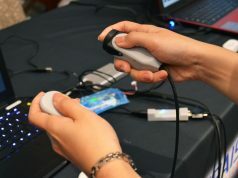 The controller employs a unique solution to haptic feedback which aims to recreate the feeling of friction against objects in your hands rather than just rumble. The company is moving toward bringing a development kit of the device to developers. Tactical Haptics has been in development of their Reactive Grip haptic technology for several years now. Having shown off some of their earliest prototypes at GDC 2013—years before HTC and Oculus even began talking about VR motion controllers—tracking has remained a hurdle in getting the product ready for consumers. 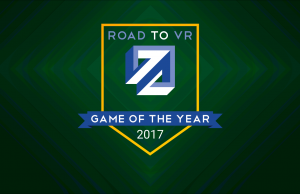 This (old) video shows the foundation of the haptic technology which we’ve said ‘proves VR needs more than rumble‘. 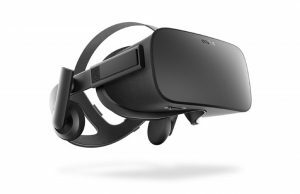 Now that both Oculus’ Constellation and Valve’s SteamVR Tracking systems are deployed in users’ homes, the door is open to using those systems as add-ons to track the Reactive Grip controller for use in VR. 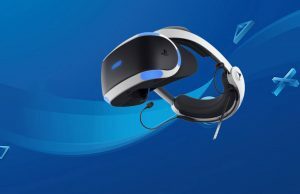 That means users who already own Touch or a Vive Tracker can attach those peripherals without the need to bear the cost of additional tracking hardware built into the controller. 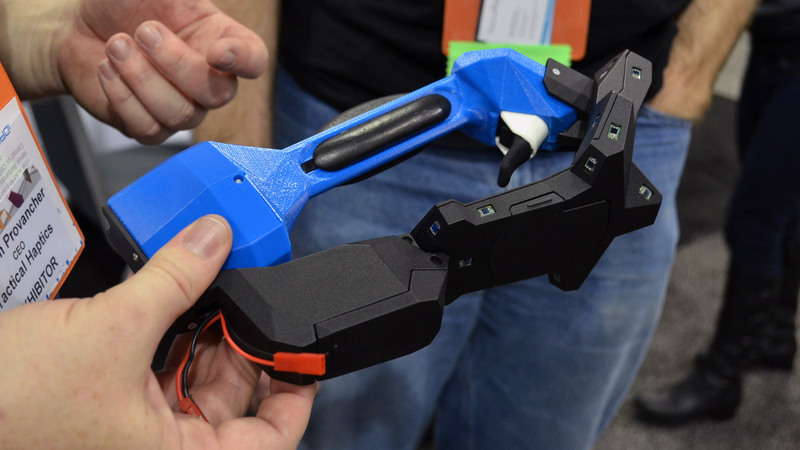 While the company had shown off a similar approach previously by attaching the Vive controllers to their haptic controller, Tactical Haptics founder William Provancher says that between the Vive Tracker and Touch controllers, the lighter weight and more compact profiles make the overall device lighter, more balanced, and more comfortable to use. Though that’s not to say that Vive controller adapter might not be offered when the Reactive Grip controller becomes available. 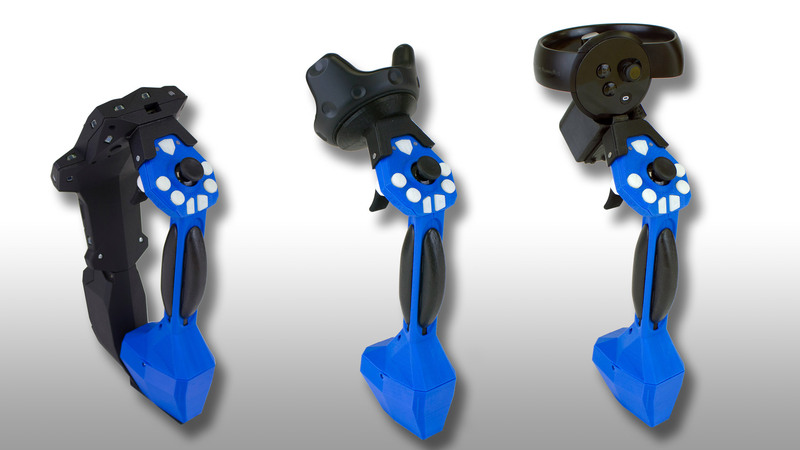 Thanks to Valve opening up their tracking solution to third-parties over the seven months, Tactical Haptics is also experimenting with a custom SteamVR Tracking solution which could be offered for those who want to buy an all-in-one controller. 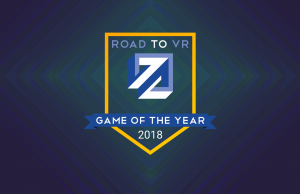 Provancher says the company attended the SteamVR Tracking development course and had created a working SteamVR Tracking integration for the controller in just a few weeks. 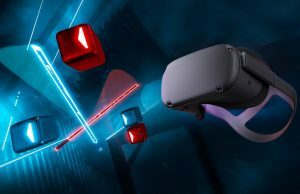 Though the company is still refining the integration, Provancher says early tests reveal that it tracks just as well as the Vive Tracker. At GDC 2017 this week, the company was showing off the new controller prototypes with new mini-games made to show what its like to develop for the controller and what sorts of applications the unique haptic feedback can be applied to. 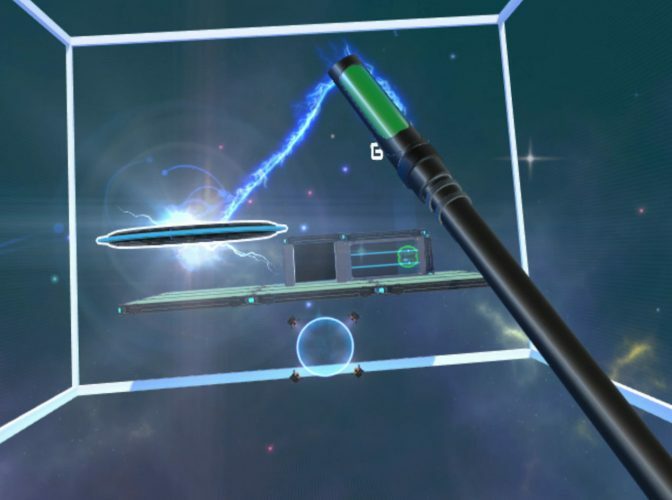 Using the Reactive Grip controller, I played a game that was something like ‘VR Asteroids’ where I used my hand to fly a little ship around to avoid asteroids and incoming fire from enemy ships. Using the orientation of the controller and the trigger, I could fire the ship’s weapons to destroy asteroids and enemy ships. 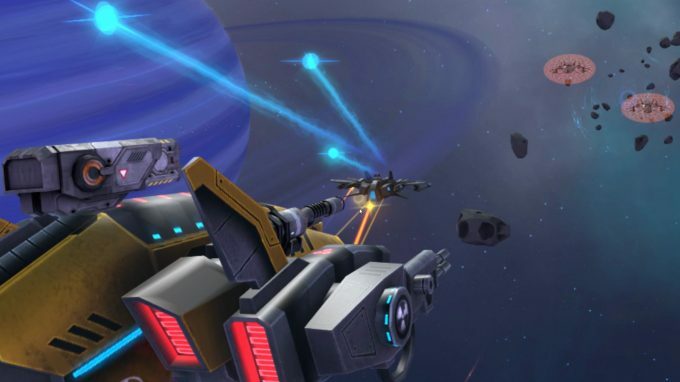 The controller’s haptics gave me a sense of the ships momentum in my hand and feedback as my ship took damage and fired its weapons. The other game, Cyber Golf, was like a futuristic version of disc golf where the goal was to throw the disk into a goal which was blocked by obstacles. In the game I held a wand-like tool which could be used to grab the disk. Grabbing on the disc’s edge let me throw it like a frisbee, while grabbing the core extended a laser-rope from the wand-tool that let me whirl the disc over my head like a lasso and then throw it for extra distance. While spinning the disk over my head, the controller gave me a sense of the disc’s weight as its momentum pulled the tool in a circular motion in my hand. Both mini-games were fun and functional, but not the most compelling demos I’ve seen (and felt) from these controllers. 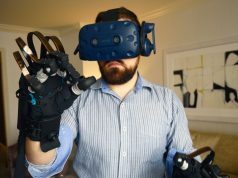 Prior demos that I’ve tried using the controller—like gun shooting, sword wielding, and using a ‘Gravity Gun’-like tool to swing boxes around—gave me a more immersive sense of connection between what I was doing and how the haptics felt on my hand. 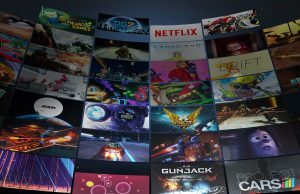 But, importantly, the new mini-games on display at GDC show how the tech can be applied in a more abstract way, which opens the doors to more gameplay possibilities that would make use of the controller’s unique haptics. 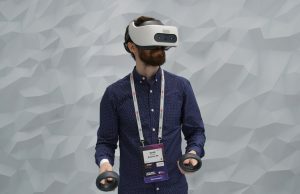 In November, Tactical Haptics announced that they’d raised $2.2 million to finalize a development kit of the Reactive Grip controller, and now the company has begun soliciting developer interest for dev kits. 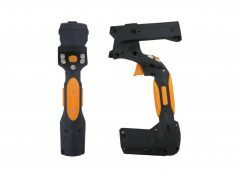 The company suggests reaching out by email to info@tacticalhaptics.com for more details about development kits. Really like the idea of this tech, hope it catches on. 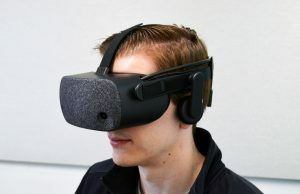 Side note, why can’t IR LEDs just be implemented into a device for tracking with oculus’s constilation tracking. 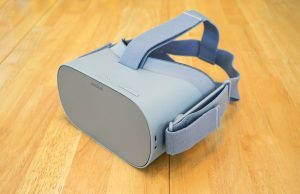 I know it would need to be added in software too, but seems like something Oculus should encourage. 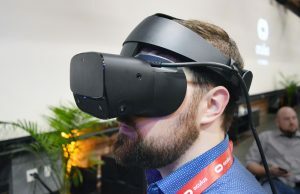 Oculus’s Constellation requires the IMU as well as control & communication hardware to co-ordinate the pulsing IR LEDs to assign unique IDs to enable its cameras to lock on and track. 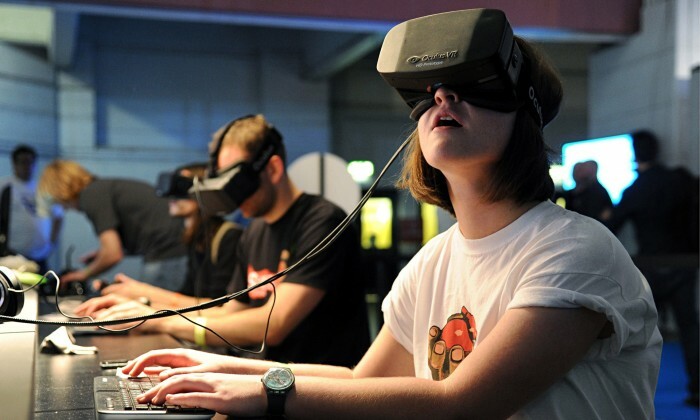 In theory, it should be possible, but Oculus has yet to action opening up their tracking system. They seem focused on what they have and game software. No signs from GDC of anything in the works for this. SteamVR tracking also requires an IMU. 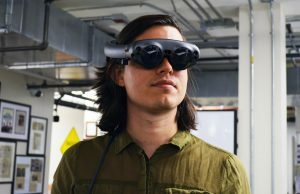 Any of the current consumer-oriented optical tracking methods require sensor fusion with an IMU to gain sufficient performance for VR. The tricky part is not the hardware implementation (for Constellation this is much simpler than Lighthouse) but management of devices in software, and decisions on how to distribute scene-unique IDs in environments where multiple oft he same device is tracked. Tue but the Vive tracking is open-source, and you can buy/make it… Oculus make patent system, so you can’t use it, or at least it need a lot of work and money. That was my point – a lot assume you only need LEDs with Constellation and it’s not as simple as that. 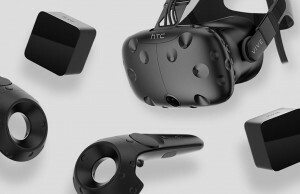 The hardware implementation for SteamVR tracking devices cuts out the software management & tracking complexities and reduces it to a much simpler overall solution of definite tracked objects. A tracked device can also be implemented completely independently of the SteamVR software, if desired. Actually the hardware has huge effect. Due to Lighthouse systems design, there just flat out is not the problem of which tracked device is which. All of the data comes from sensors at the tracked device, so one always knows which is which. So the just is no problem of identifying scene unique devices. The devices automatically identify, since it is the tracked object sending the data, so you know that tracker is that tracker, because the object is speaking to you rather than external tracker. Which means Lighthouse can essentially have unlimited number of tracked object, since actually the tracked object can do even the calculations by itself, if thus implemented. Then only reporting to central machine “my pose is this, my pose is this ….”. The thing to identify is the base station, but the is usually only two and those don’t suddenly disappear and reappear in the middle of the session. It is always the two same lighthouses. Plus one doesn’t need to try to do image processing to figure out which base is which, since the lighthouse tracking data is 1D time serious data from 1 cell photodiodes and mostly deals with timing rather than 2D location + timing on top of it of an image stream. Heck that simpler sensor data is the reason the device can run the pose calculation. It is far less computationally expensive to triangulate position from known sensor matrix and timing data, than run constant 100Hz image processing algorithms for two HD cameras. 1D data vs 2D data. Well vive is like 20*1D, but the sensor streams are separated and can be handled independently, where as image is always inherently 2D. more dimensions means more computational complexity. And again each tracked object can independently identify the bases, without having to cram everything to a central processing unit. Centralized sensors vs distributed sensors means centralized computations vs distributed computation. Yes everything uses IMU, because IMU has refresh rate of a 1000 Hz where as the optical trackers operate on around 100Hz. It provides smoother experience. Adding extra peripherals that use constellation will be trickier because the system has to figure out which lights belong to which devices. 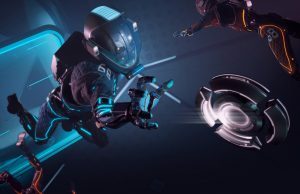 Oculus just recently got tracking working well for two motion controllers, so maybe now they can try to open it up, but it’s not going to be as straightforward as steamvr where everything tracks itself. I appreciate the custom look, much better use of the Vive sensors without that 3-prong puck shape. 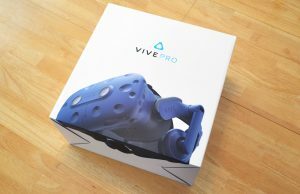 They are not Vive’s sensor – the tech is Valve’s. HTC was just the first to implement it. Sure, whoever makes it, the wand and the puck both have that three-prong shape. 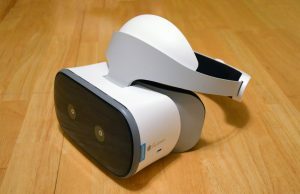 It’s awkward looking and bulky like the insectoid bulge of the HMD. It’s nice to see the same tech applied in this more compact polygonal design.